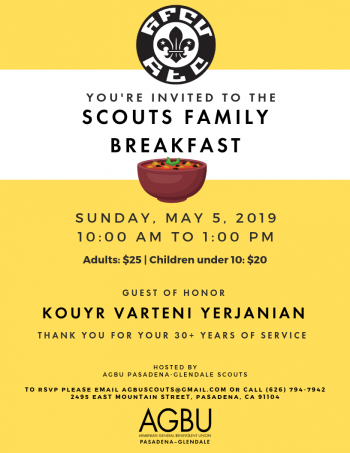 Creating a platform for Armenian families to participate in cultural, social and philanthropic activities aimed at enriching the Armenian community at large, the AGBU Asbeds was established in the Greater Los Angeles area in 2002, under the auspices of the former AGBU Southern California District Committee. The Asbeds’ mission is to create a platform whereby forward thinking Armenians can gather to discuss current issues concerning Armenian Americans, and to participate in various cultural, social and philanthropic activities aimed at enriching the Armenian community at large. For information on our past events please click here.